Nothing adds personality to crochet work like edgings do. 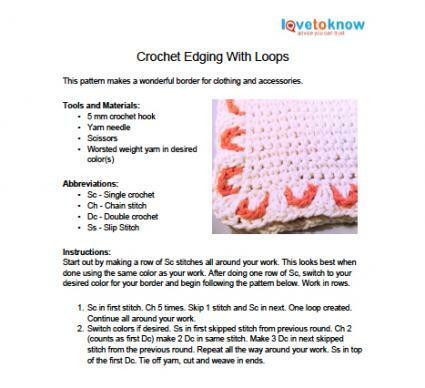 Edgings give your work that finished look that is so often needed on crochet pieces. There are many edging styles to choose from depending on just what you are crafting. 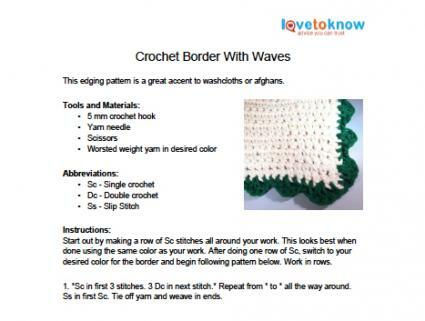 Here are a few patterns that will work well with clothing, accessories, and even afghans. 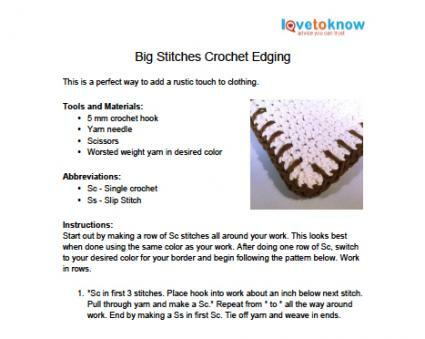 To download these free patterns, click on the image or the image caption below. The PDF printable patterns will open in a new tab or window and you can either download them to your computer or print them out. If you need help with downloading the patterns, try these helpful tips. This bold border stitch is the perfect edging for crocheted clothing, especially clothing with a rustic or western flair. Clothing such as sweaters and shawls and accessories like scarves look great when you finish them off with this soft loop edging. 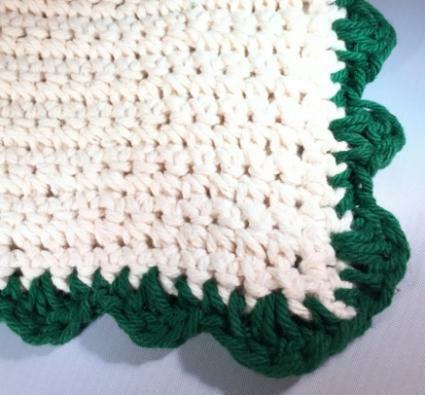 If you are making a washcloth, dishcloth or afghan, this flowing border makes a wonderful accent. The great thing about these crochet edgings is that they are quick to tack on and very easy, even for the novice crocheter. You won't have to leave another piece of work unfinished once you master these pretty borders.